City planner and author Jeff Speck’s Walkable City is popular with everyone from urban planners to regular-Joe lovers of cities. But as Speck writes, “While the book does a decent job of inspiring change, it doesn’t exactly tell you how to create it.” And so a new book was born. 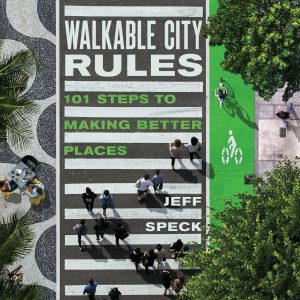 Walkable City Rules offers a 101-rule blueprint to put the concepts of the first book into action. This month’s The Parking Professional offers a glimpse into the book and two of its rules–make downtown parking a public utility, and price parking based on its value–along with an insightful introduction by Speck. We’re thrilled to have it in the magazine and hope it inspires you, too. Read it here.